We all know that kurta pajama is not new attire for men. it's been in Indian culture for decades. What changed is the style and pattern of the attire, now you will get a blend of indo-western style while selecting kurta pajama for men. 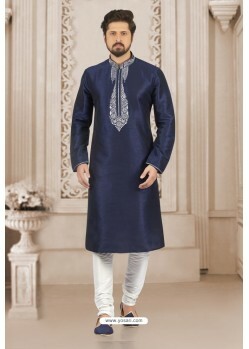 Men are buying designer kurta pajamas to wear in several occasions, parties, events, pooja as well as in their wedding or engagements. 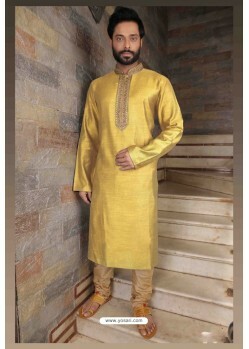 Kurta is a straight cut, free shirt falling either simply above or beneath the knees of the wearer. 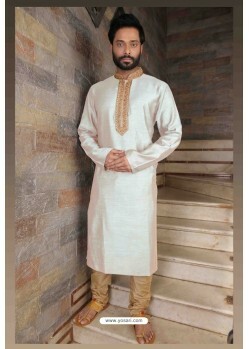 Kurta Pajama is a traditional ethnic dress for men in India. 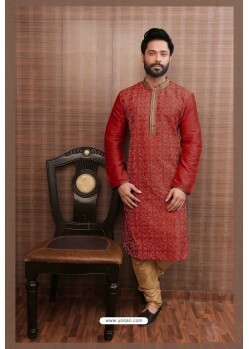 Both formal and casual designs of kurta can be wore, relies on the texture and weaving patterns. 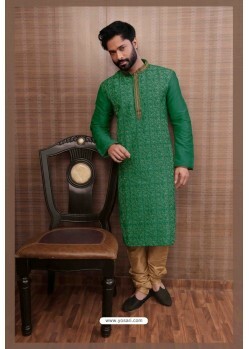 Kurta Pajama Designs with Jacket are also quite trendy in today's time. People also prefer to wear them on festivals like, Eid, Diwali, Durga pooja, New Year, Holi, etc. 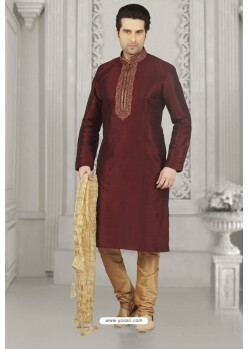 What are the various types of Men kurta pajamas? 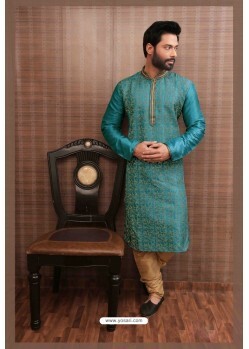 Before making your mind to buy any kurta pajama, you should be aware of all the choices you have to select from. For example, you are looking for a long kurta or a short kurta. Kurtas are mostly worn for events, like, festivals, ceremonies, pooja, and any other home festivals. You have a wide range of kurta pajama to select from causal styles to ravishing weaved patchwork designs, kurtas are accessible in different textures including cotton, silk, polyester, to give it a lavish and more expensive look. Casual Kurtas – They are perfect for a casual event. Generally made from soft and comfortable fabric. 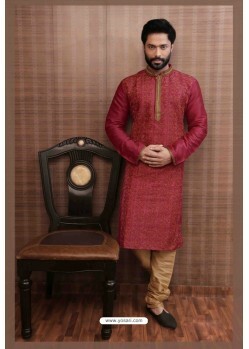 It is a perfect choice for lounging purpose, costs are quite reasonable as compared to formal kurtas. 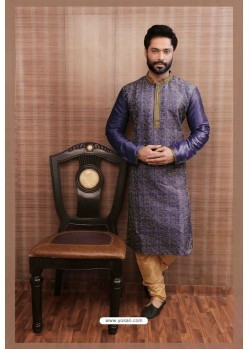 Formal Kurtas – this pattern is done intricately and is totally different from casual kurtas. It is the best choice for grand events or functions like weddings, parties, and so forth, because of the dazzling arrangement of sequins or stones of the same shading. Traditional kurtas – It has a simple cut with expound enhancements along the sleeves and all over the garment. It might have a collar or not and the side creases are simple and permit easy movement. 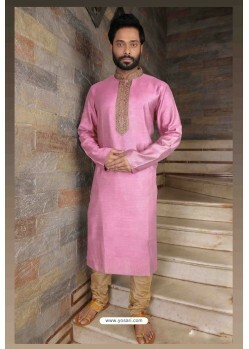 Modern or Indo-western Kurtas – Unlike the traditional style, indo-western kurta have collars, which are also known as Mandarin collars. It's quite popular amongst the youth as well as adults and they love to wear it in parties and other occasions. 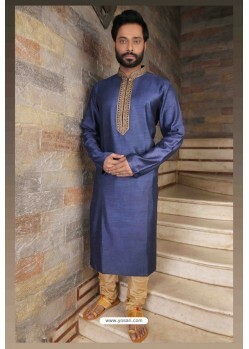 Short Kurtas – these come over the knee or till the waist, have sleeves and cuffs. They can be matched with jeans and pants. 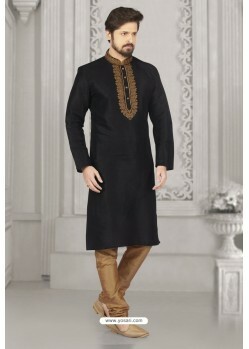 The short kurta version has an urbane request and is an immaculate mix of ethnic and modern design tones. These are most prevalent for their trademark Chinese neckline or jacketed style. So in case you're taking a gander at a moderate design that appears to be more casual as opposed to formal, this is the right length for you. Long Kurtas – these are the traditional A-lined design or fitted knee-length style kurtas. It makes a flexible appeal and looks culminate on Indian men. The correct length is that it must fall pretty much a crawl and half underneath knee-level. 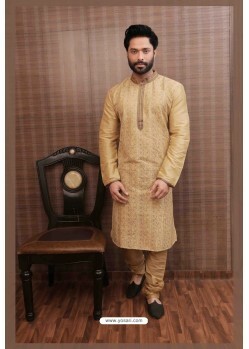 Pathani Kurta – This style goes under the long length classification and looks culminate with Pathani Salwar/dhoti. This is another perfect alternative you could think about for as a happy event as it appears to improve the common conventional look beautifully. Now you can make your mind to choose any of these amazing kurta pajamas to wear in any upcoming event or function.